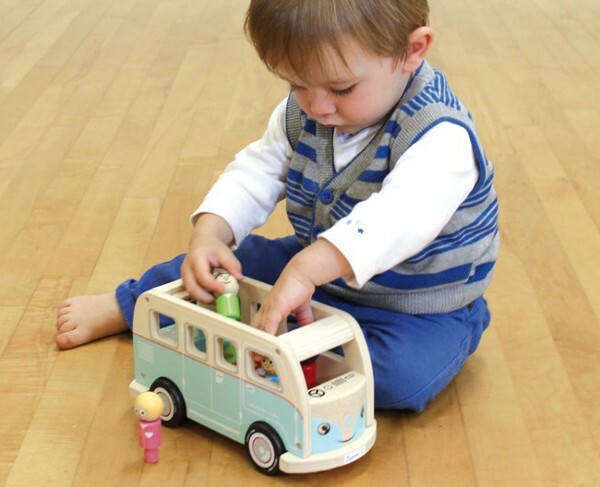 Made from sustainable rubber-wood and birch, these delightful toy travellers are ready for adventure. A classically charming gift, they’re great for early development, pretend play or just having fun. 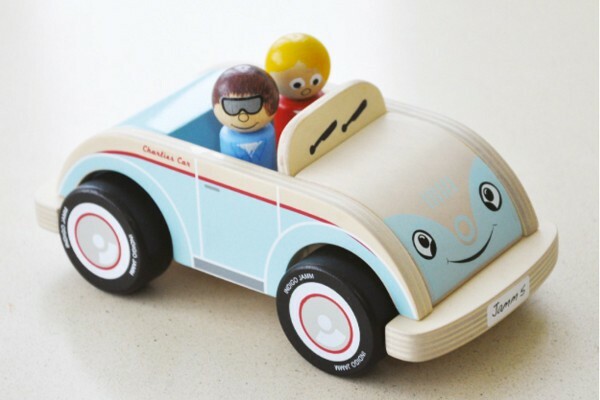 Indigo Jamm make a range of quality wooden toys for children, but we especially love these retro-style vehicles and peg people. The Colin Camper Van is a groovy design similar to a Kombi. It has a removable roof so little hands can easily play with the family inside. Mum, dad, two kids and a dog make up the family of peg people and each are colour-coded with matching seats. This adds an educational element of colour recognition to a traditionally fun toy. Charlie’s Car has a bright smile and sporty style. An open top, plush sports car for Charlie and his friend to cruise in, this is a classic push along toy, ideal for children over 12 months. There are many more beautiful wooden toys to be found at Indigo Jamm. To catch these groovy movers locally, try Peanut Gallery who have the Colin Camper Van for $69.99 plus shipping.